Poor road conditions coupled with reckless driving cause accidents in various parts of Balochistan, particularly on the Quetta Karachi highway, which has become increasingly dangerous in terms of road accidents. Eleven individuals, most of whom belonged to a family travelling from Karachi to Qila Abdullah, were killed in a traffic accident in Balochistan's Mastung district on Tuesday. Nine others were also injured in the accident. The injured were rushed to the Nawab Ghous Bakhsh Raisani Hospital from where the critically injured were taken to Civil Hospital Quetta for treatment. The hospitals declared an emergency in order to treat the injured. 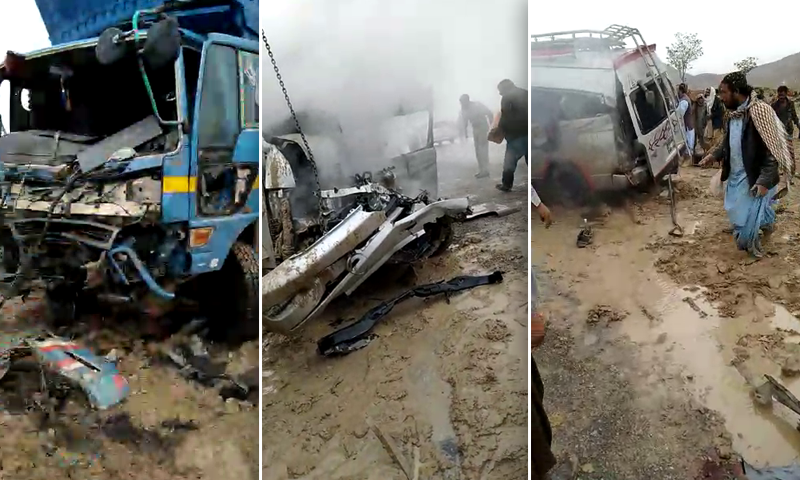 In January, 27 people, including women and children, burned to death when a Panjgur-bound bus collided with a truck near Lasbela Cross and caught fire that destroyed both vehicles within a few seconds and left the bodies charred beyond recognition.